My name is Emanuel Ionescu. I reverted to Islam in 2011 at the age of 21. The reason I say revert and not convert is because Muslims believe that we are all born with Islam as our faith, but as we get older, if we are not in a Muslim family we may be raised to believe something else and in my case I was raised as an Orthodox Christian. Throughout my life I was interested in religion and as I got older I was reading more and talking more about religion with people. I always defended Christianity as the true faith even when people would tell me it is a corrupt faith. I would tell them that if Christianity was really corrupt, God would not let us believe in something corrupt without correcting it. Little did I know at the time that in fact God did so by sending the final Prophet Muhammad (pbuh) to correct us where we went wrong and bring us back to the original truth. I should note though that many people I spoke to about Christianity were Atheists and from some other religions but I had never met a Muslim to speak to them about religion while I was Christian. I had to discover Islam on my own and I am glad I was able to. Maybe I would have been Muslim earlier if I had contact with Muslims but then again, sometimes I think that if a Muslim would try to convince me that Christianity was wrong I probably would not have accepted Islam because I would not like other people to tell me that my faith is wrong as others already did. I believe it was Allah’s purpose for me to come to Islam in my own and that this was the best way for me to understand Islam as I will detail further on. I knew very little about Islam while I was in high school and I tried to look into it a little more only for the reason that I knew they believed in the same God that Jews and Christians did. I was interested to see what they say about Jesus (pbuh) in the Quran and when I found out that they say he was not the son of God nor crucified I refused to believe that and so for some time I kind of left Islam aside, but I was being unfair really because all I did was read the verses about Jesus and not the entire Quran to see why they said this. As time went on though Islam seemed to always be in the back of my mind. I do not know why because as a Christian I was fine with everything they taught, except that I believed that Jesus (pbuh) was the son of God, not God himself but other than that I had no doubts about Christianity. I should also note though that as I grew older I stopped calling myself Orthodox Christian and I was only calling myself Christian. The reason for this was that I was disappointed to see thousands of denominations in Christianity and it bothered me that they were all saying that they were the only correct path to heaven. I believed that Jesus (pbuh) did not teach us to separate into different sects and that to be a true Christian was to follow the Bible and what Jesus (pbuh) taught. Anyway, so Islam was always in the back of my mind for reasons I can’t really explain since I didn’t agree with what they said about Jesus (pbuh) but I respected their devotion to Allah through their 5 daily prayers and that they were dressing modestly and believed in the same God Jews and Christians did. The turning point in my life with regards to Islam was in the summer of 2011 when I went to visit my godfather in Cyprus. He was living near the border of Northern Cyprus which was the Turkish part. I would go there daily and I went to visit the mosque and was intrigued at how they did not decorate the mosque with images or statues of Prophets, which I liked. I also heard the Athan for the fist time and that was a very nice thing to hear. When I returned home I finally decided to give Islam a more serious look by watching some documentaries to get a better idea of the history of Islam. After watching those I was interested even more and began to actually read the whole Quran this time and not just some verses. I finally truly accepted Islam after reading the whole Quran and if it wasn’t for one specific verse in the Quran, I would probably still not have accepted Islam. The verse that I believe my whole reversion rested upon was Surah 2:79 which spoke of previous scriptures being corrupted. It was a sudden understanding in my mind which I had no doubts about what I had just read and it made me fully understand why they said Jesus (pbuh) was not the son of God or crucified. The reason was that the scriptures were corrupted and that they lied about Jesus (pbuh) and many other things. My whole idea that Christianity was the truth because God did not tell us otherwise was finally revealed to me that God did in fact speak again through Muhammad (pbuh) who did in fact tell us that the scriptures were corrupted as mentioned in that verse. A person may wonder, why did I accept that verse so easily and not investigate to see if what it claims is true? Well I did investigate, but not because I had any doubts, but just to reaffirm what I had now believed as the truth and to increase my knowledge and understanding of why the Quran claimed this thing, and my beliefs were found to be true with my investigations. In the end Islam made sense because it taught the belief in the one true God, which Jews and Christians also believe in, it also taught to believe in all previous Prophets send by Allah from Adam (pbuh) to Muhammad (pbuh) which made more sense compared to the Jews who stopped at Moses (pbuh) and the Christians who stopped at Jesus (pbuh). Why stop and not also believe in the final Prophet Muhammad (pbuh) too? To believe in all prophets was like a complete belief, from beginning of revelation to the end of revelation. Islam also taught that the original scriptures such as the Torah and Gospel of Jesus were true but were corrupted as I noted earlier and it made sense with what I learned about them after reading that in the Quran. Now when people ask me I why believe Islam is the truth I can say to them the same thing I said when I was a Christian and that is that if Islam was corrupt, Allah would tell us and bring us back on the right path, but for 1400 years there were no more revelations and no need cause Islam truly is the final revelation. Islam completed the whole revelation of Allah with a book that was not changed as previous scriptures were and this in itself is a big proof for Islam as the true faith. Allah did not allow anymore corruption to take place and preserved it to this day. 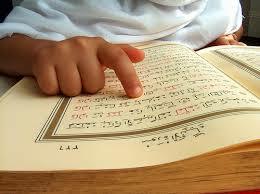 I had no problem with my Christian beliefs UNTIL I read the Quran. I would like all Christians to read the Quran for themselves and really ponder upon what it is saying. Christians and all other people of other faiths may be OK with their current beliefs but there is something better out there and that is ISLAM. Masha’Allah, great rewards awaits you my brother.